Let’s start this off by saying it wasn’t a bitter disappointment. Definitely better than the Black Panther, which incidentally was one of my favorite comics growing up, but not in the same caliber as Venom or The Predator movies. The movie definitely had it’s moments, the scene where they are driving down the road and see a wave coming at them full of ships and ocean debris was one such moment. 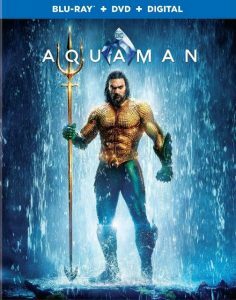 But some parts look like they were added on the cuff, like the scene where Aquaman is a child in the Aquarium and gets hassled by a couple punks. And some scenes were down right boring. It was like they were trying to shove the history, or backstory, of Aquaman into a movie about his half-brother wanting to take revenge on the World above. And it just didn’t work for me. Granted I may be somewhat guided by my own youth, because when I was a kid Aquaman wasn’t very popular, in fact I don’t think I knew anyone who bought a comic about Aquaman or Namor. And if you did you certainly didn’t brag about it. They were too fantastic or fantasy enriched for the crowd I hung out with. Overall I give this movie 7 out of 10 stars.